If you love quality but live in reality, you realize one thing about buying for your kids: Paying for quality often leads to frustration. Why? 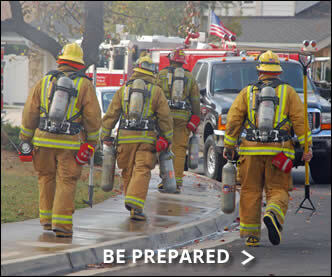 Even if the items last, your children’s use for them soon runs out. Kids just keep growing — both physically and developmentally. Of course, that’s a good thing! At the same time, it can lead to angst. This quandary faces us as parents regarding many purchases — from clothing, to car seats, to toys. 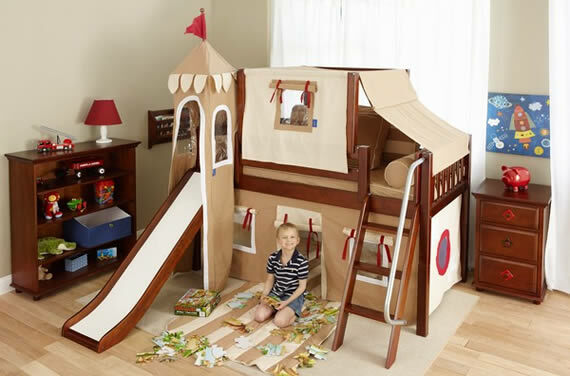 However, the prices of those kinds of things pale in comparison to children’s furnishings. With higher stakes comes increased significance of our decisions regarding such a purchase. If you try to provide safe, high-quality furnishings for you children, you can easily get frustrated about wasting valuable money and time on high-quality pieces they’ll quickly grow out of. The only other option seems to be settling for poor quality, unattractive, or even unsafe options. Thanks to the Maxtrix® System, featured at The Bedroom Source furniture showroom on Long Island (directions), there is now a wonderful third option. The quality of our Maxtrix system translates into safe, beautiful furnishings that are truly built to last. 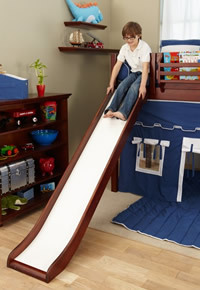 Unlike typical children’s furniture, all our Maxtrix beds are crafted from solid wood, not plywood or particle board. Daybeds can be safely and securely extended to become Low Lofts, and Low Lofts can be extended into High Lofts or Bunk Beds, thanks to the Maxtrix rock-lock connection that eliminates the kind of wobbling you typically experience with higher beds. 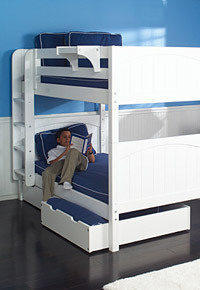 For those requiring the space-saving option of Bunk Beds without sacrificing safety, we offer Staircase Units that can connect to either side of an existing bed. 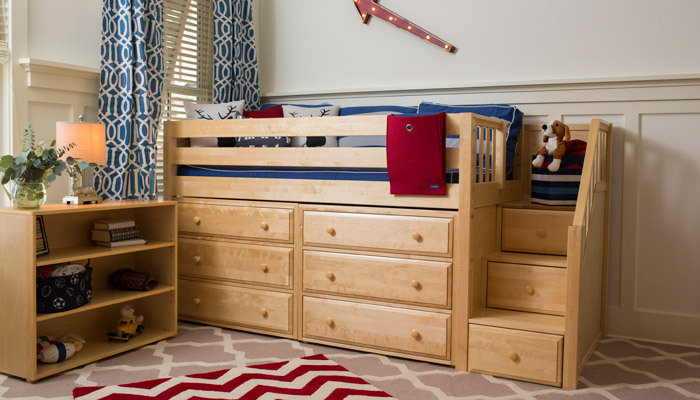 In place of the vicious research-purchase-outgrow-repeat pattern that eats up precious time and energy, our Maxtrix system allows you to fluidly rearrange and add to your child’s bed as he or she grows and your family’s needs change. 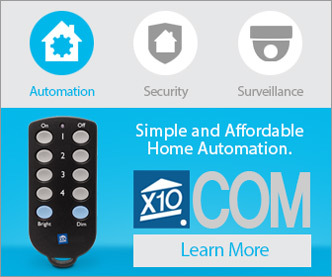 Whether those changes come in the form of moving to a new space, rearranging furniture, adding children to your home, or simply responding to your child’s changing needs, Maxtrix is your solution. 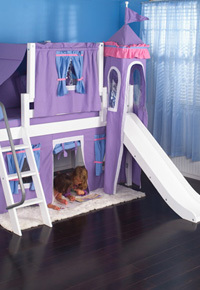 The same basic bed can transition from a Toddler Daybed to a Low Loft (with a fort underneath!) and then a Double or Triple Bunk Bed with a Trundle or even a single High Loft with a Castle Tent that can also accommodate a Desk and Dresser underneath. 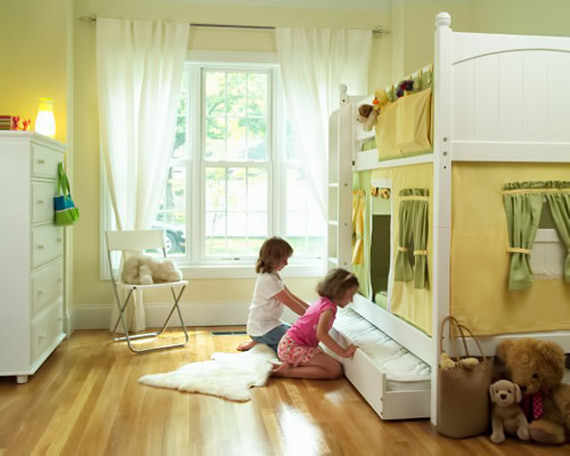 You may have no idea what the future holds or what the needs of you and your child may be a decade from now, but whatever comes up, our Maxtrix bedroom furniture can accommodate that change! Contact the friendly staff at The Bedroom Source today by calling (516) 248-0600 or by visiting www.BedroomSource.com. We offer white glove delivery which includes professional assembly for everything we sell. 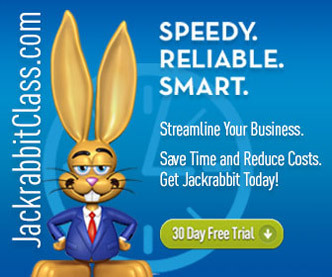 We deliver to Long Island, the 5 Boroughs of New York City, Rockland, southern Connecticut, and northern New Jersey. Maxtrix® is a registered trademark of Maxwood Furniture. Learn more at maxtrixkids.com.